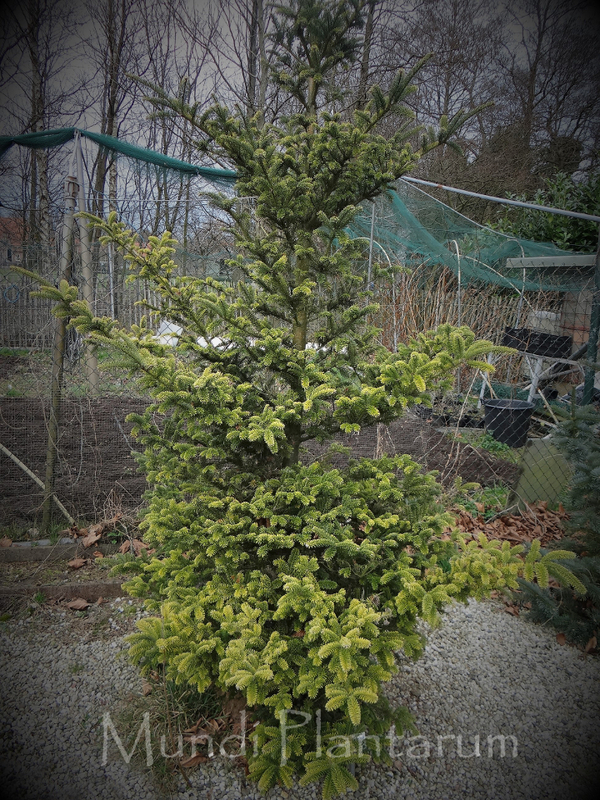 Hudson fir compact, rather erect, irregular. Needles tinted with golden yellow in shade. Height 2.5m to 4m.